No Welding – No Special Tooling! UltraLox will be demonstrating its UltraLox Interlocking machine which produces high-quality powder coated aluminum railings within minutes. Large-volume deck builders, building product distributors, and fence companies will be able to see for themselves the key advantages the UltraLox technology offers. Features and benefits included but are not limited to high quality, code compliant railings that are produced and installed in a fraction of the time compared to traditional railing installations. UltraLox will be demonstrating its revolutionary interlocking machine at the 2015 DeckExpo (Booth 2513), Oct. 1 – Oct. 2, Chicago, IL. The innovative UltraLox Interlocking machine produces high quality, powder coated aluminum railings on demand! UltraLox helps companies to achieve new levels of efficiency and productivity, delivering railing with superior aesthetics, strength, and durability. 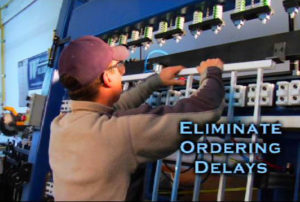 Cost effective, with virtually no waste, the innovative panelized railing solution can be produced in minutes, and is easily and quickly installed at the project site. UltraLox ICC-ES AC273-tested railing can be produced in a variety of profiles and colors offering clients versatility, strength, and reliability. UltraLox eliminates the roadblocks that slow down railing projects. Railings are produced and installed in a fraction of a time compared to traditional railing systems. By dramatically reducing inventory costs, warehouse requirements, freight costs, and damage issues, UltraLox owners control the quality and delivery of railing for their customers. 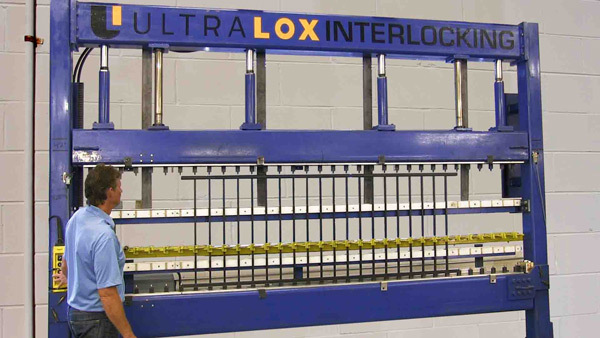 This is a transformative approach to producing railings, providing UltraLox owners with the ability to achieve levels of efficiency, customer service, and profitability above and beyond standard practice. Efficient installation on-site is a key advantage of this system. Pat Noonan, owner of Pro Deck Supply, Minneapolis, MN, says that UltraLox systems can be installed in 50% of the time as opposed to traditional systems.